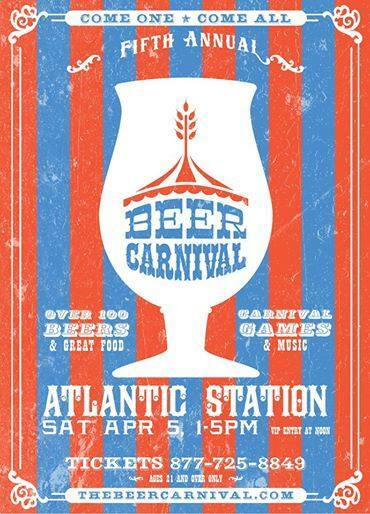 The Beer Carnival is back on its new date, April 5th, 2014 to serve up over 100 delicious brews and fun at Atlantic Station. Tickets are going fast for this event especially with the new spring date and even more beers, carnival games, and activities to offer Atlanta. The event will feature both indoor and outdoor areas. Atlantic Station will be transformed into a carnival themed celebration featuring midway games, rides, great food, DJ’s & entertainment. Samples will include traditional favorites, premium craft beers and an assortment of the best winter brews! Try them all and find your new favorite pint! A GA ticket includes all the beer you can safely consume, a commemorative Beer Carnival sampling glass, and unlimited carnival games and activities! If you really want to “hoptimize” your experience it’s worth springing for the VIP experience which includes entry at noon plus an exclusive VIPs only are with private restrooms, and a premium selection of beers and food. Old resentments and sibling rivalries bubble to the surface as the hilariously dysfunctional Gordon family of Harrison, Texas, spar to claim the biggest piece of the pie in the wildly funny, Tony-nominated Dividing The Estate by Pulitzer Prize and Oscar-winning Horton Foote. Matriarch Stella Gordon keeps her aging and money-strapped children on a short financial leash with no plans to split her 100-year old estate. But the kids have other ideas. Dividing The Estate runs through April 20th. Show times and ticket prices vary by show and are available through the find ticket button below. The Blue Moon Beltline Boil is Atlanta’s newest in-town festival. Located at the Fourth Ward Skate Park along the Atlanta Beltline’s Eastside Trail, the weekend event focuses on local neighborhood business and community. Enjoy cold brews and delicious food, great music, and a $5,000 local charity donation will even be given away! Music by Swamp Funk Quartet, Saint Francis, Mudcat The Quaildogs, and The Mad Violinist & The Symphony Crack Orchestra. The big hair. The lacy ankle socks. And the music! You thought it was a forgettable decade, but the Legwarmers (great accessory, great band name) will make you remember each and every hit. Come out and Safety Dance like it’s 1985. You’re sure to have a blast reliving everyone’s favorite guilty pleasure, the 80’s. 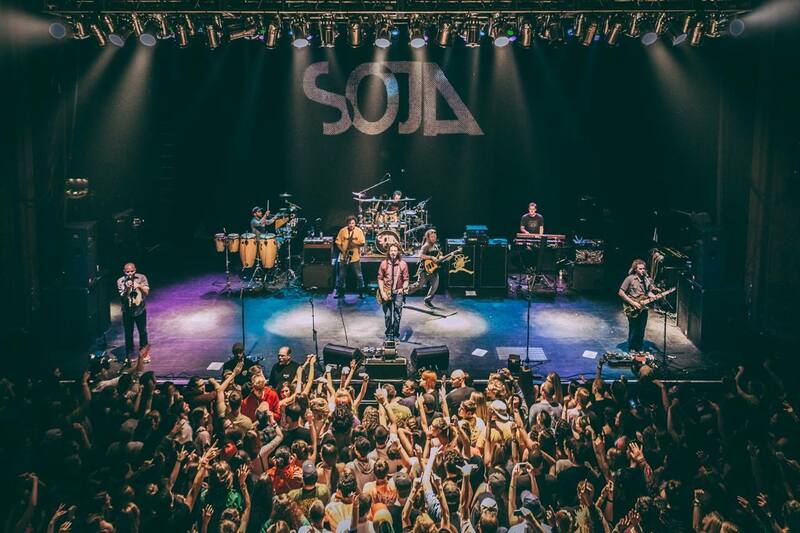 Over the course of the past few years, SOJA has sold more than 200,000 albums, headlined large theaters in more than 20 countries around the world, generated over 40 million YouTube views, amassed nearly 2 million Facebook fans, and attracted an almost Grateful Dead-like international fanbase that grows with each tour, with caravans of diehards following them from city to city. Most impressive of all, they’ve accomplished all this on their own. This 8-piece band has spent the past year and a half grinding it out from venue to venue, playing more than 360 dates, including headlining sold-out tours of North and South America, as well as opening for O.A.R. and sharing stages with everyone from Dave Matthews Band to Matisyahu. Doors at 7 p.m. Tickets: $20 in advance, $24 day of show. Online and phone sales close at 4 p.m. day of show. The Found Footage Festival is a one-of-a-kind event showcasing videos found at garage sales and thrift stores and in warehouses and dumpsters throughout North America. Curators Joe Pickett and Nick Prueher take audiences on a guided tour of their latest and greatest VHS finds, providing live commentary and where-are-they-now updates on the people in these videotaped obscurities. From the curiously-produced industrial training video to the forsaken home movie donated to Goodwill, the Found Footage Festival resurrects these forgotten treasures and serves them up in a lively celebration of all things found. Doors at $8 p.m. Tickets: $12 Online and phone sales close at 6 p.m. day of show. George Lopez Coming To The Fox Theatre 6/27!